"Transatlantic Services" and "Africa, Middle and Far East"
Early timetables of British Airways reflected the different traditions of the two main airlines behind the merger, BEA and BOAC. 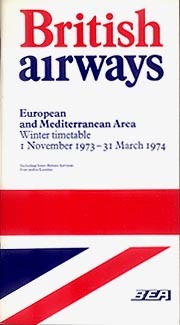 During the winter season 1973/74 there were still timetables in the old formats and styles of the merging airlines and featuring the names of the old airlines. 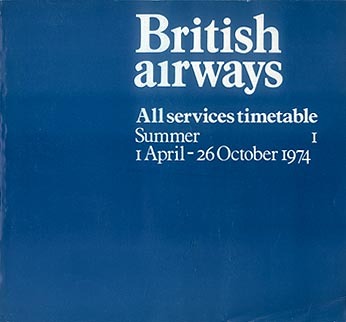 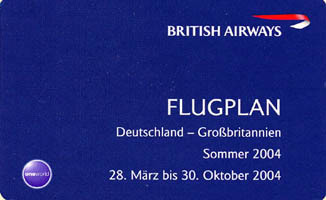 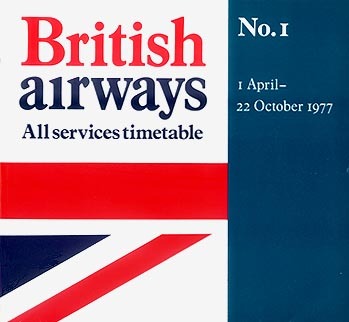 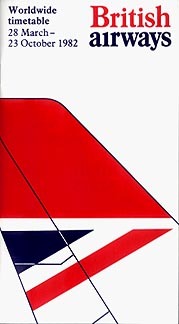 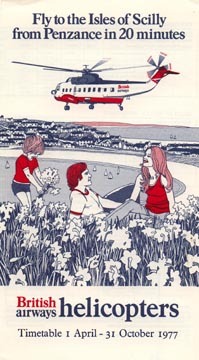 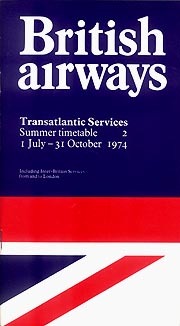 From the summer of 1974 all timetables were British Airways only. 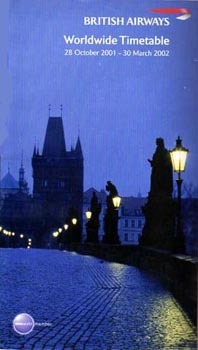 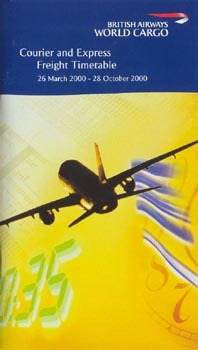 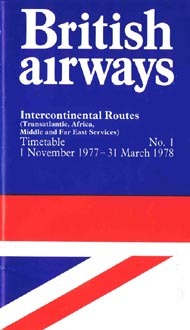 Separate editions for former BOAC routes were published both in the quick-reference format unique to BEA (A-Z Countries) and in the traditional table format used by BOAC. 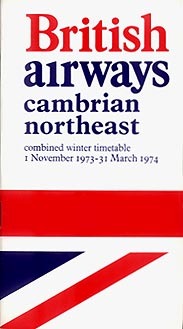 The latter edition was not discontinued until 1979. 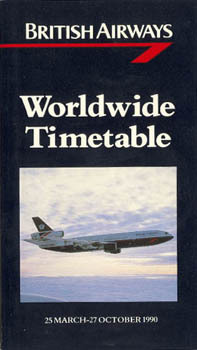 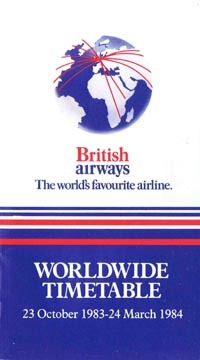 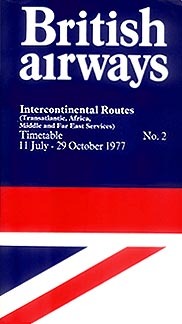 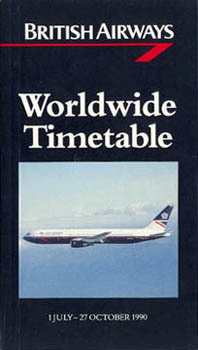 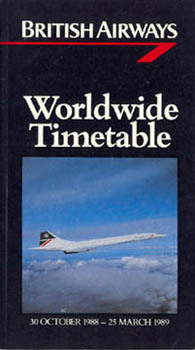 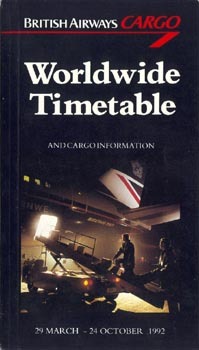 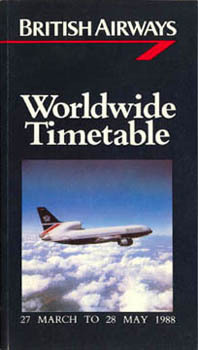 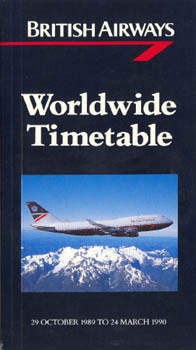 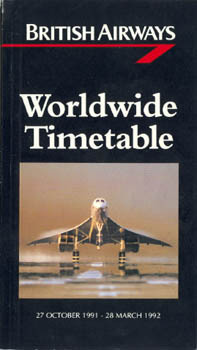 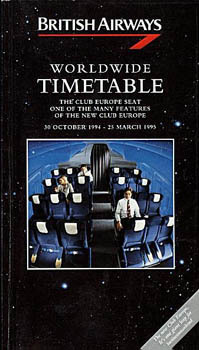 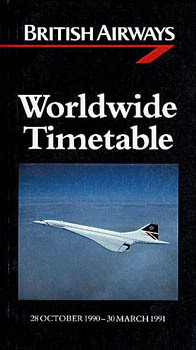 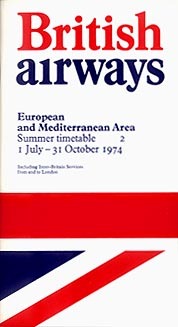 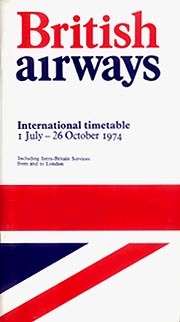 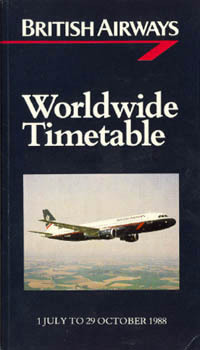 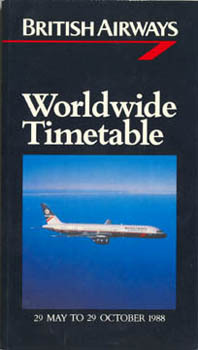 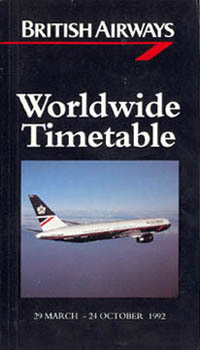 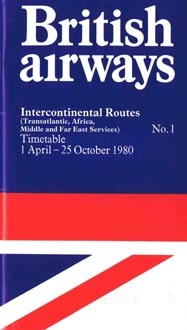 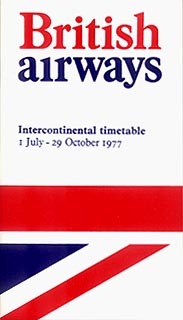 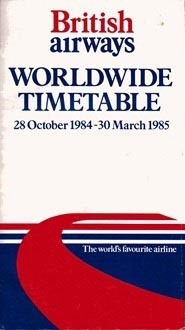 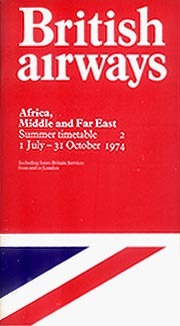 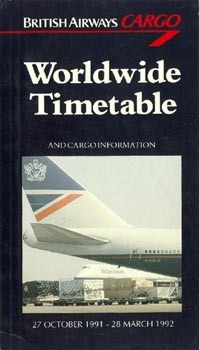 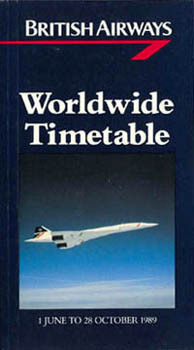 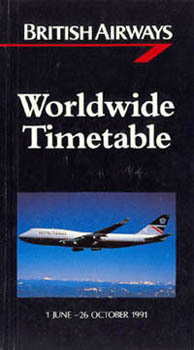 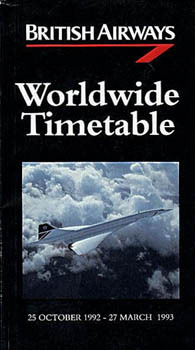 The "European and Mediterranean Area" and "Intercontinental Routes" editions, both in BEA format, as well as the "All Services Timetable", more of an agents and employees' timetable than a public timetable, were available until BA issued its first "Worldwide Timetable" in the summer of 1982. 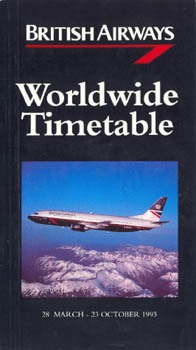 This was in a revised quick-reference format, with three sections: To/from London, A-Z International cities and A-Z Domestic cities. 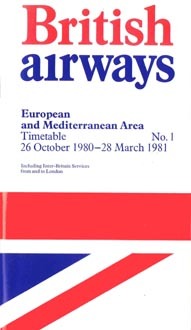 This was obviously confusing and from the winter edition 1983/84 onwards BA's timetables have come in the usual quick-reference format of most other airlines. 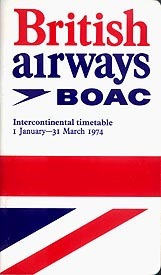 BEA - British European Airways and BOAC - British Overseas Airways Corporation. 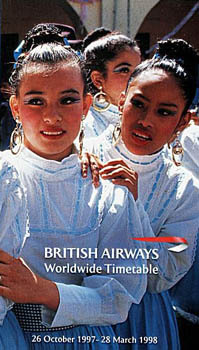 visit the British Airways page of Perry Sloan's "AirTimes" site. 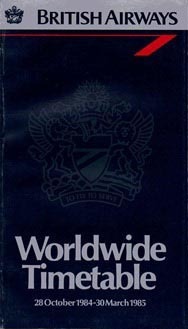 This page last updated September 21, 2017.